Congratulations to everyone who exhibited at the 2018 Lincoln County Fair. Dates for the 2019 Lincoln County Fair have not been announced yet. Please visit the Lincoln County Fair website for more information as it becomes available. The Lincoln County Fair Association will be holding their Fair Review Meeting on Wednesday, September 19, 2018 at 7 p.m. in the Lower Level Conference Room 156 of the Lincoln County Service Center (801 N. Sales Street in Merrill). We encourage exhibitors, department workers, and anyone else who has comments or suggestions for the 2019 Lincoln County Fair to attend. Junior and Open Poultry Exhibitors: Mary Ineichen shared with us a listing of APA Recognized Breeds and Varieties for 4-H. She has found this listing helpful in determining what classes to enter her poultry in. You can find a listing of Wisconsin Certified Pullorum Testers (Listed by County) on the Department of Agriculture, Trade and Consumer Protection website. All animals (except rabbits, cats, dogs or other common household pets) must have an Animal Premise ID in order to exhibit at the Lincoln County Fair. There are no exceptions to this requirement. Exhibitors should be sure their Premise ID is for the current year (2016) and include this number on their entry form. A copy of the premise id will be collected at the Fair when you bring your animals. Livestock premises registration is the first step you can take to protect your investment in Wisconsin’s livestock industry. A database of locations where livestock are produced, raised, and kept, will aid animal health officials. A system with proper trace back and trace forward capabilities provides timely response to minimize the economic impact in the event of an animal disease outbreak. The Wisconsin Livestock Premises Registration Act requires anyone who keeps, houses, or co-mingles livestock to register their premises. Premises that are not currently licensed by the DATCP are required to register. For more information about Livestock Premise Registration and to register go to the Wisconsin Livestock Identification Consortium website. Looking for the videos from the Lincoln County Fair? The When defeat is better than winning post was written by a 4-H club co-leader from Wisconsin about her daughter’s experience in their county fair dairy show. 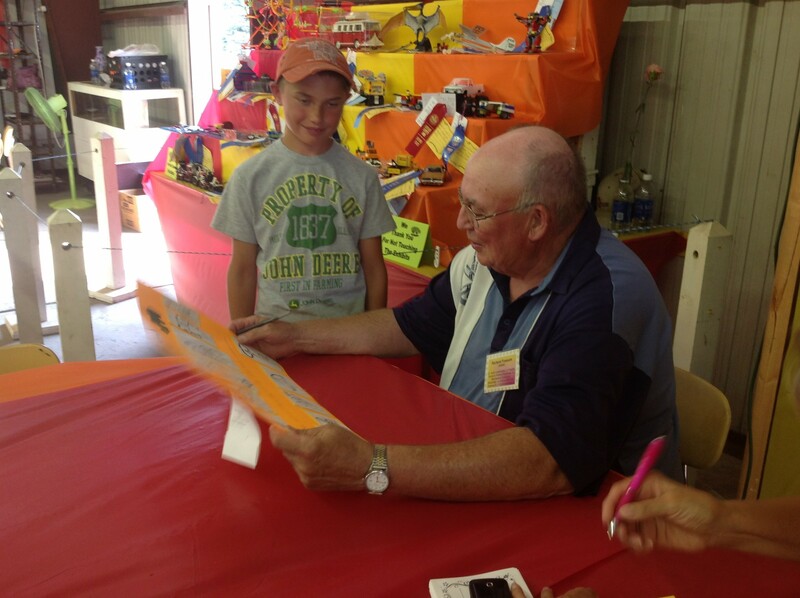 Thought others might enjoy this story as 4-H’ers across Lincoln County are putting the final touches on their fair exhibits and working with their animals. 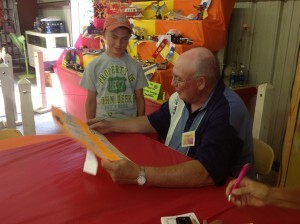 It helps remind of us the purpose of exhibiting at the county fair is much more than the color of the ribbon received. Thought others might enjoy this story as 4-H’ers across Lincoln County are putting the final touches on their fair exhibits and working with their animals. 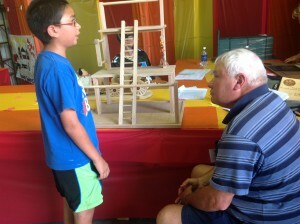 It helps remind of us the purpose of exhibiting at the county fair is much more than the color of the ribbon received. Danish Judging which is used in most departments in the Junior Division. In this type of judging, all the entries in one lot number are arranged together so the judge can compare the items to a “standard” and to the other entries. The judge must award placings according to the Danish judging system. For example, if there are 10 entries in a lot number, the judge can give only 2 first (blue) ribbons, 3 second (red) ribbons, 2 third (white) ribbons, and 3 fourth (pink) ribbons. The judge does not have to give the maximum number in each placing depending on the quality of the exhibits. In this example, if the judge does not feel there are any exhibits that are worthy of a first, the judge may choose to give up to 5 second place ribbons instead. 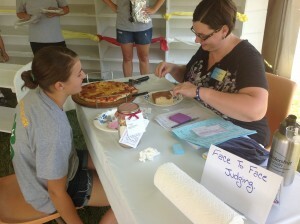 Face-to-Face Judging is a second type of judging utilized in several departments in the Junior Division at the Lincoln County Fair. This system of judging was designed to make the fair and judging experience more educational for the exhibitor. For face-to-face judging, the exhibitor must be present at the time of judging and talk to the judge about their entries. The judge gives the exhibitor ideas about how the exhibit could be improved. The judge then places the exhibit and does not have to follow the placing numbers like they do in the Danish judging system. A third type of judging utilized primarily in the animal departments in the Junior Division is called Conference Judging. 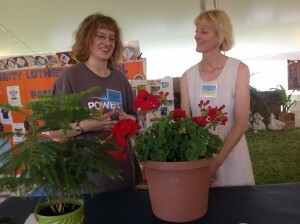 During this type of judging exhibitors gather at one time with their project items. The judge briefly discusses each exhibit with the exhibitors and uses the information to place exhibits following the Danish judging system. Regular judging is the fourth type of judging used at the Lincoln County Fair. This is the type of judging used in Open Division and in some classes in Junior Division. In this type of judging, the judge can select only one first, one second, one third and one fourth place exhibit from the items entered in that lot number. If a judge does not feel that any of the items are worthy of the placing they do not need to award it.